Lamb's latest recording! Featuring Ted Pearce. Lamb's first recording in over a decade marks a new beginning for this famous Messianic music group. 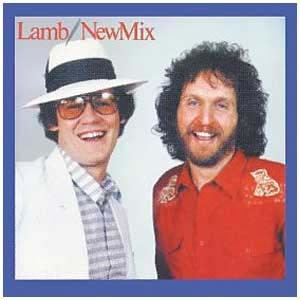 Lamb, the music group that pioneered and popularized the Messianic sound in the 1970's is back with their 13th recording. This time around Joel Chernoff's previous partner and producer, Rick Coghill, is replaced by Messianic recording artist and long time fan, Ted Pearce. Joel Chernoff and Ted Pearce combine to bring some classic Lamb sounds but also some great new twists to the Lamb pantheon of recordings. The recording begins with the pulsing dance rhythm of the Hebrew refrain Bit-chu B-Adonai (Trust in the Lord) and moves to Good News and then on to Walls. You will rock with the Messianic anthem Adonai El Shaddai and the classic Lamb sound of The Ransomed. There are so many great songs on this latest recording! 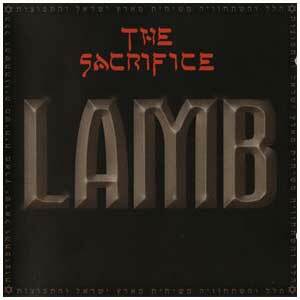 If you love Lamb and enjoy Messianic music you will love The Sacrifice.